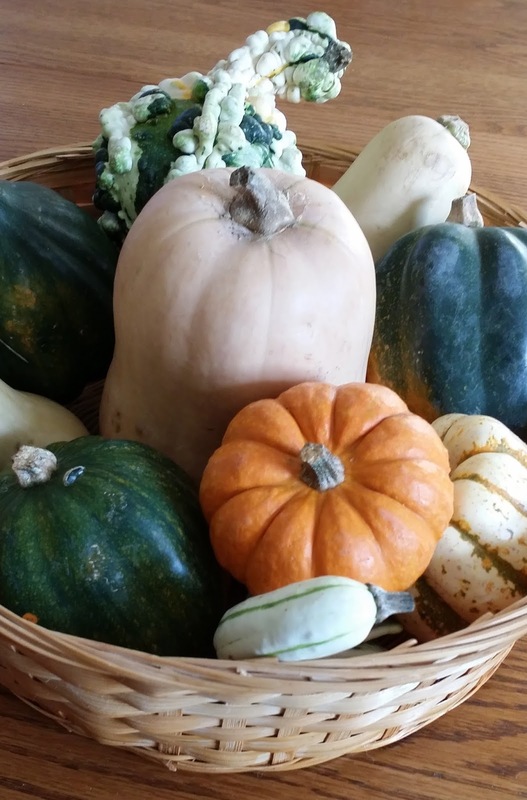 With all the work that goes into planning and preparing your Thanksgiving meal, you want your table to look festive and pretty, but who wants to spend a lot of time on a centerpiece? I sure don’t, and I bet you don’t either, so I’ve come up with a few quick and easy ideas to spruce up your holiday table. Idea #1: Begin with a fall wreath. Place a large candle in the center—I used one with a sugar cookie scent—then fill in around it with colorful items you have on hand. 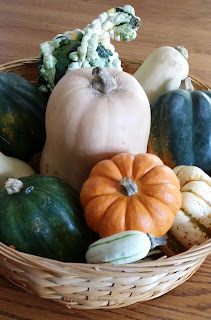 I used gourds, but you could use apples, oranges, or pears. 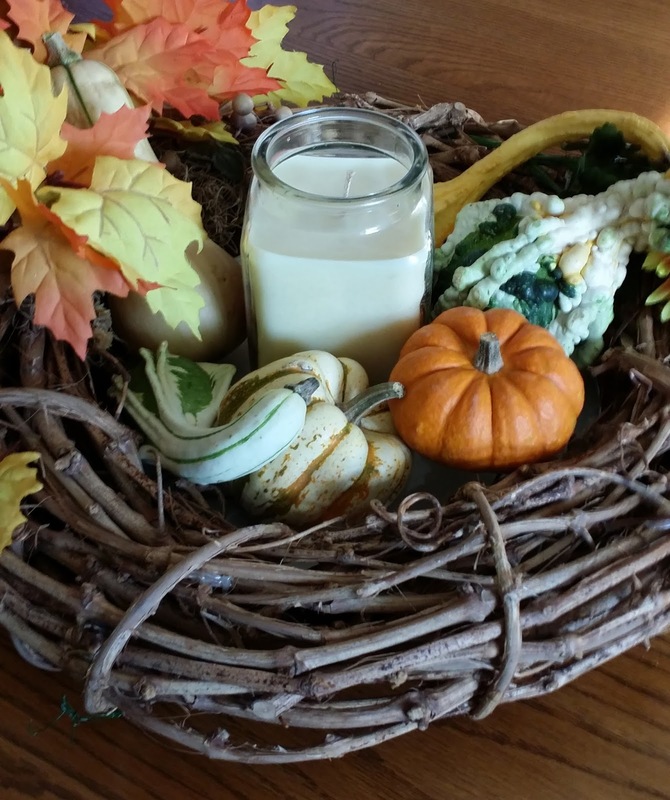 Idea #2: Begin with the same fall wreath, but instead of the candle, use a small pumpkin and surround it with squash. 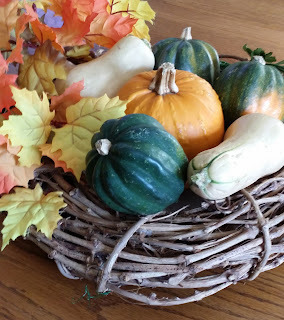 Idea #3: Fill a basket with gourds and squash. Do you have any quick and easy centerpiece ideas? USA Today bestselling author Raine English writes sweet small-town contemporary romance, along with steamier paranormal and Gothic romantic suspense. She’s a Daphne du Maurier Award winner and a Golden Heart finalist. 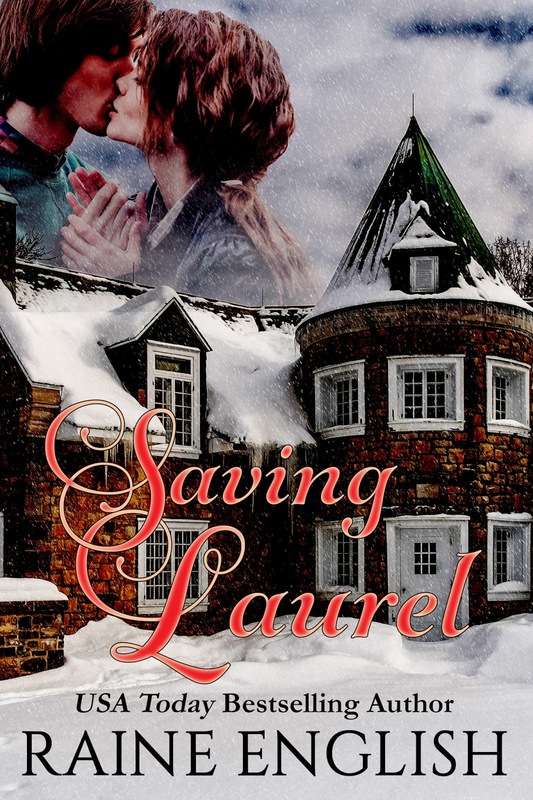 Her latest sweet release, SAVING LAUREL, is about a tortured actress who finds love at Christmas with the help of a ghost from the past. To receive information on all her new releases, you can sign up for her newsletter, go to her website, like her on Facebook, and follow her on Twitter. Have you subscribed to the Sweet Romance Reads newsletter? Don't miss the upcoming holiday issue. Look for the sign-up box in the column at the right. I love your ideas. Very fall looking. These are beautiful, and they look so easy! Thanks, Patricia! They're really easy, and I just used things I had around the house. I loved the fact that I didn't have to spend any money on them.